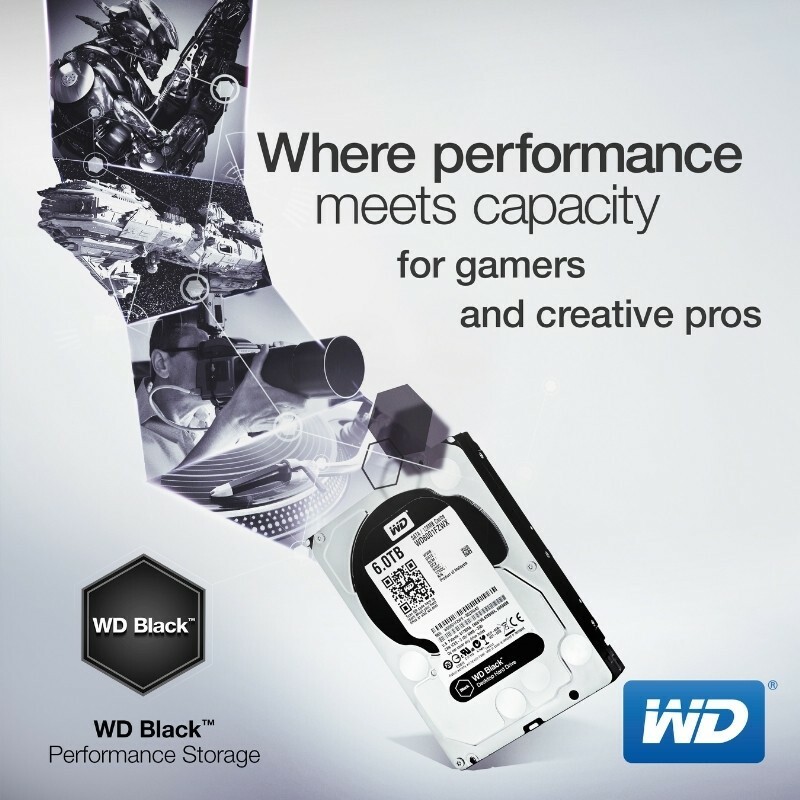 WD announced new model in its WD Black line of performance hard drives. The new drive has 6TB of storage capacity. The 3.5-inch hard drives combine, 7200 RPM speed disk with 128MB cache, dual stage actuator technology, SATA 6 GB/s interface, and an integrated dual-core processor. The drive also is 29% faster than the WD Black 4TB version and 10% faster in PCMark Vantage test. The WD Black 6TB is available now with a $294 (INR19000) MSRP and has 5-year limited warranty.